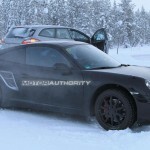 Porsche is soon to launch its next-generation Porsche 911 and as can be seen by these latest spy shots, prototypes for the car appear to be almost complete. Shown in the least camouflage and from the closest distance yet, the new Porsche 911 looks to be just as its predecessors have been: a variation on the classic theme, with some modern tweaks. But just as the continuity of looks in previous cars have masked major mechanical changes, so to will the next-gen Porsche 911. 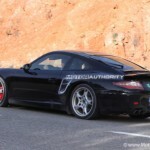 We first started seeing test-mules for the 2012 Porsche 911 back in 2008 and soon after Porsche’s former chief of research and development, Wolfgang Dürheimer, revealed some details of what to expect for the new car. Speaking of the new car, Dürheimer said, “‘it will be even more competent, even sexier, even more unique. The design can of course only be evolutionary, but beneath the skin, almost anything is possible”. The 2012 Porsche 911, known internally as ‘project 991’, will feature a few radical departures from the 911’s long-running classical styling. The changes are out of necessity more than anything, but they will be noticeable. First, pedestrian protection rules in Europe will require a change to the nose section of the car, likely meaning a larger and more collapsible bumper section. The rear of the car will also be changed, but for aerodynamic improvement. Other new features for the car will include extensive use of lightweight carbon fiber materials and active aerodynamics–surfaces that react to what the car is doing, and how fast it’s doing it. Expect adjustable front and rear spoilers, dynamically opening and closing air intakes and an automatic rear wing. As for powertrains, reports coming out of Germany claim power in the base Carrera will stand at 345 horsepower from a 3.4-liter boxer engine, downsized 200 ccs from the current engine. 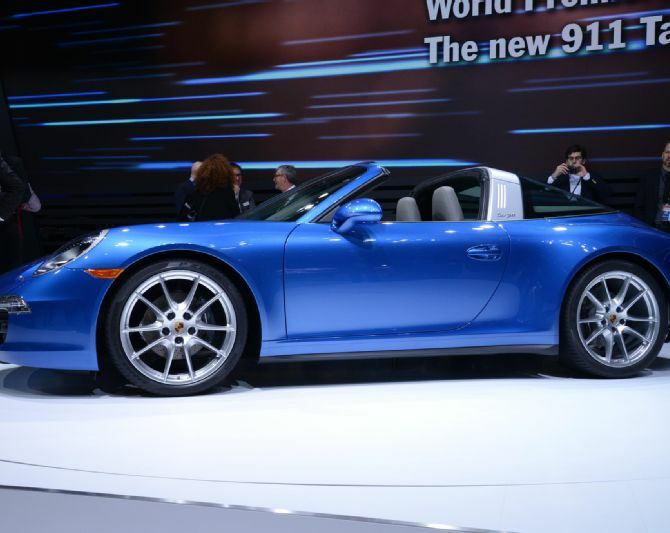 Step up to the Carrera S, however, and you’re expected to get a bigger 3.8-liter engine and 395 horsepower. 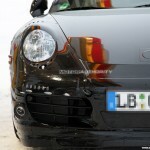 We still have a long wait to get the final word, however, as the 2012 Porsche 911 isn’t due until September’s 2011 Frankfurt Auto Show.